Malo AUT digital student journos! IT'S GREAT to see all these young Pasifika journos in the making getting into story telling in digital formats. 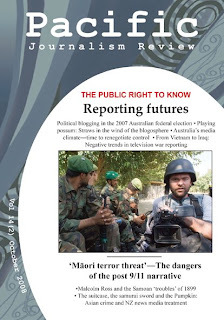 John Pulu, Alistar Kata and Paul Fagamalo have just done us proud with a short news piece on the PIMA 2008 conference and the planned coming (if the the Nats elections debacle hasn't derailed it) of Pasifika television. There was a bit of a delay because of the enormous end-of-semester course pressures. But to me this is what it's all about - producing good quality news and current affairs. You can see it on the Pacific Media Centre YouTube channel. 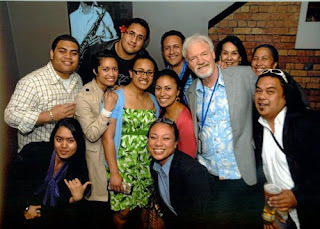 There was a great mood among the media students at AUT University at the time of the conference last month and this should eventually feed into the Pasifika media industry's new generation. 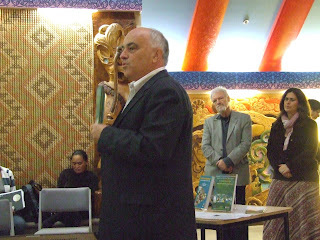 Another short programme, done as part of the AUT television course, focused on the ancient Tongan rituals around kava. John Pulu is doing really well - another John Utanga perhaps. Malo guys! Pictured: Some of the PMC and PIMA gang. Photo: Alan Koon. YET ANOTHER example of local Fiji media bias ushered in the weekend editions of the press, this time over the High Court ruling that all work must halt on the People's Charter for Change, Peace and Progress. 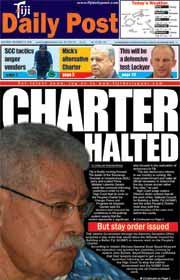 The Daily Post, for example, editorialised in its front page splash story "Charter halted": "Fiji is finally moving forward." Inexcusable for an intro on the court ruling purporting to be fact. Of course, the next sentence attributed the opinion to deposed Prime Minister Laisenia Qarase (who incidentally became appointed caretaker prime minister after the George Speight coup in May 2000, thanks to the military). Now, the editorial handling of the story wouldn't have anything to do with the fact that the media group is steered by Qarase's first cousin while the editor is his son-in-law. Secondly, a ruling hours later by the Court of Appeal's Justice John Byrne actually imposing a stay on the judgment by Justice Filimoni Jitoko (until a substantive appeal hearing on Thursday, November 20) didn't get mentioned in the story. (However, it was flagged in a downpage strapline). The regime is seeking a judicial review on the ground that under the Proceedings Act the court cannot order an injunction against the state. Fijilive reported it this way as main news item: Charter work to continue, stay granted: "The interim government has successfully acquired a court injunction that will allow the National Council for Building a Better Fiji to resume work on the People’s Charter." Other local coverage wasn't much better. Fiji free press at work? Some of the international media coverage was an improvement. Australian Associated Press reported: "Fiji's High Court has delivered a blow to the country's military-led government, ordering it to halt work on a document that would usher in constitutional changes." But even then, it didn't reveal all the fishhooks involved in the legal minefield. Over at Avaiki Nius, Jason Brown has highlighted a persistent Pacific media problem - no-shows at donor expense. 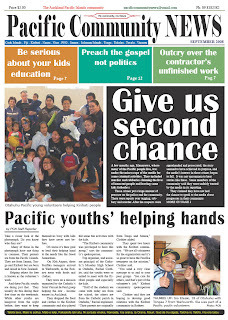 Another good read at the Pacific Media Centre is the latest fallout from the Niu FM saga earlier this year. But things are definitely on the mend. Pere Maitai is doing some great things in rebuilding the news service. For the second time this month, Fiji’s military government has threatened to send a newspaper editor and its publisher to prison for publishing a letter to the editor alleged to be in contempt of court. 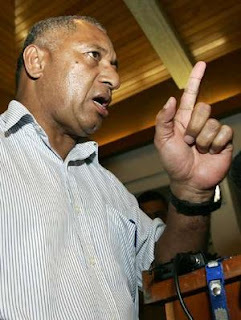 In mid-October, the Fiji Times and Fiji Daily Post printed a letter from a certain Vili Navukitu of Queensland, Australia, complaining about a recent high court ruling that legitimized the actions of the country’s president in dissolving the Parliament, and the elected government of Laisenia Qarase, immediately following the December 2006 coup that brought into power Commodore Frank Bainamairama. The item has a few selected quotes from blogs, most anonymous and critical of the regime, but doesn't acknowledge that (1) the letter is arguably in contempt in the first place (although the response of the regime is overkill over what is vigorous debate); (2) contempt doesn't only apply to current court proceedings and the potential for impacting on a case, but also involves "scandalising" a court; (3) news media in Fiji clearly need to lift their game over the professional editing of letters. In countries like New Zealand, news media routinely check the bone fides of letter writers and edit letters over matters such as good taste and potential defamation (and potential contempt). There are also frequent allegations of bias over editorial selection of letters. In fact, letters is the largest category for complaints over fairness and balance against newspapers. FIJI'S JUDICIAL responses to contempt by two local newspapers become sillier and sillier. The contempt laws for scandalising the court were never meant to stifle vigorous debate about court rulings. Citizens Constitutional Forum chief executive Rev Akuila Yabaki says the draconian prosecutions "stifle free speech in an oppressive manner". The paranoid climate around the judiciary following last month's controversial High Court judgment declaring the post-coup regime to be legitimate is deteriorating. The contempt proceedings against the Fiji Times, after the newspaper's apology about an online letter to the editor, and now the action against the Daily Post are vindictive. The Attorney-General's office is pressing for the jailing of publisher Rex Gardner and editor Netani Rika. Quite rightly, the actions have drawn protests from the International Federation of Journalists, representing some 600,000 journos worldwide - which has also taken the opportunity to challenge the regime's plans for a "media promulgation" law. 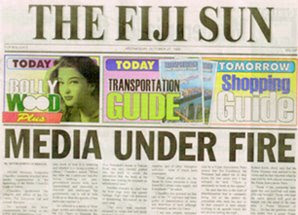 IFJ said it was deeply concerned that "while Fiji's military government is spruiking its draft media law as a means to encourage media freedom and freedom of expression, an independent newspaper is being forced to defend contempt charges for publishing the opinion of a member of the public with which the government disagrees." For the record, former Fiji prime minister Mahendra Chaudhry has not dropped his F$1 million defamation case against the Fiji Times as reported by the paper - he has merely amended the claim to drop the parent company, Murdoch's News Limited, from the proceedings. 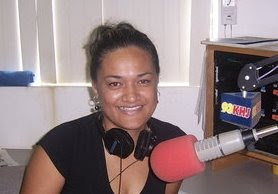 PETER CRONAU, one of the co-founders of Pacific Media Watch, has just done an interview with PMW's Josephine Latu about the state of media freedom in the Pacific 12 years on since the group's campaign to free Kalafi Moala from jail. (Moala was imprisoned unconstitutionally for contempt of Parliament). 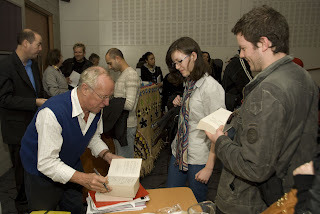 Cronau is busy writing a new book about East Timor and the case of the Balibo Five, the shameful murder by the Indonesians of five Australian-based journalists (including a Kiwi) back in 1975. He and his ABC Four Corners team won a Gold Walkley in 2006 for their programme Stoking the Fires about the bitter post-independence political rivalries in East Timor. 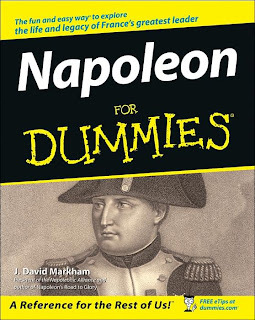 This book is certain to rock the media and political establishments in Canberra with its revelations. 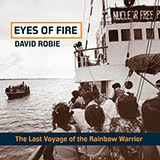 Persistence by some journalists ... saw them reporting the Indonesian preparations for the invasion - and six media workers [the sixth, Roger East, was executed later on Dili wharf] paid with their lives for reporting this truth. I guess the lesson to take from the book is that like all freedoms, freedom of the press is lost unless guarded vigilantly. That's the essential reason we set up Pacific Media Watch in the first place. 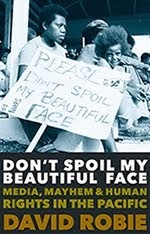 Media freedom - by government edict! To say the media was angry [over the Anthony report] is to understate their point of view. Radio, TV, newspapers and magazine editors and executives voiced their indignation, anger and disappointment at the report. 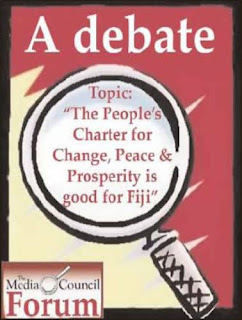 Perhaps the Fiji TV best summarised the many media points of view, saying, that the FHRC seems to share the concern of all political parties and leaders that have been at the helm of power to have “controls that will weaken and severely dilute the rights of the media and individuals as enshrined in the 1997 Constitution”. the government, politicians and political parties. 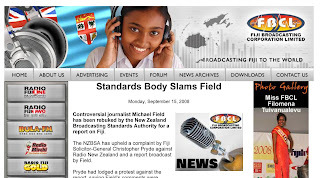 As a panacea or cure or stimulant toward improving media standards, the National Committee for Building a Better Fiji (NCBBF) recommended a number of changes which included the establishing of the Media Tribunal, that legislation to be enacted to ensure the development and regulation of professional standards of journalism and a levy to be raised to cover the costs. This, surely, is a pointer to where the promulgation is heading. 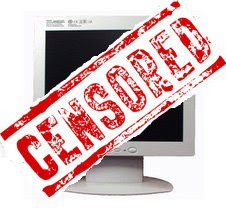 Ironically, just yesterday Fiji Media Council chief Daryl Tarte reckoned that "self-censorship" had been declining in Fiji. Also yesterday, the Fiji Times admitted it was in contempt over publishing a letter chastising the High Court over its controversial ruling about the legality of the regime. Hot chili courts - Happy Diwali! One can love Fiji. It truly is unique among the Pacific Islands. After more than 20 years and four or five coups, three High Court judges decided that the acts of the President after the December 2006 military coup were lawful; that the President had reserve power to ratify the acts of the military in the takeover; to grant immunity to those who did the coup; and that he could act without any specific authority derived from the Constitution. Hot on this decision by the courts arrives a comment by Pacific Islands Forum Chairman Toke Talagi that the court ruling on the legality of the interim Government and its promulgations will perpetuate Fiji's coup culture. I am so excited as I really thought that the coups in Fiji were going to end. That's what the National Council for Building a Better Fiji (NCBBF) have been telling me and they must be worried. For just on a year they have been talking about change, peace and progress and a better Fiji for all. The draft charter - all 200,000 copies of them all say in English, Hindi and Fijian - we love you all - Indo-Fijians, indigenous Fijians and Others. I fall into that last category, I am sure. Fiji is special. There is plenty of generosity and it comes from unusual sources. Mick Beddoes, big in body and even bigger in generosity has just returned the $100 he received from the NCBBF when he attended one of its opening meetings. At that time he obviously believed in building a better Fiji, but then perhaps he thought better of that dangerous idea and left. Since then he has been accused of taking the $100 meeting attendance money and using it for his own benefit. His cry to the moon and the nation at large that he had to cover his transport costs went unheeded. So now, the money comes back to the government. The media quoted Mick Beddoes saying that he was requesting a payment of only 46 cents an hour. Good old Mick. We need more people like him. But he could have been more generous and given the money to the poor and his 46 cents too, when he gets it. After all we have one in three people here living in poverty. Even 46 cents buys half a loaf of bread. The poor can fish anyway. Who knows what good could be done with half a loaf and some small fish? I noted in my newspaper reading that Manasa Lasoro, one of the leaders of the Methodist church was lamenting that many of the prison inmates in Fiji prisons are Methodists. I would advise him not to worry. There are long term benefits. The government pays for food and accommodation of those members who wander in a wayward manner from his flock. That allows more money for him and his leaders to travel around the country band to denounce the People's Charter with its message of love, jobs, housing, education, health care and equal votes. I would also advise Manasa Lasaro to also see his problems with his wayward flock in relation to the National Census of last year that shows that the Indo-Fijian population has decreased by 27,227. Now, I think many of those people went overseas, as they are obviously not in prison with his Methodist flock. Besides, I assume they were possibly Hindus. If the Methodist Church waits long enough they will surely get rid of all those annoying Indo-Fijian families who were born here and work hard to educate their children, to toil in the canefields and to worship in small temples that are destroyed in a regular manner, by, I assume, Methodists - no, I had better say wayward Christians. But, and here is the irony. We need many more coups before every Indo-Fijian will have migrated to those two horrible places called Australia and New Zealand. There are still 311, 591 Indo-Fijians in the country, according to the last census. We have a task ahead. How many years will it take - this equation includes - some more racism, certainly a few coups and more education for Indo-Fijians so as to increase the pace of migration and make them more acceptable to New Zealand and Australia. What names would I advise to sit on any Royal Commission on Fijian Migration? I could start with Mr Qarase and a few leaders from the Methodist Church who for the last two years have been talking as if they are the only Gods and know the correct answers. Yet, these are the very people who befitted from the actions of one Mr George Speight, a former coup leader who is still in prison. When all Indo-Fijians have left the country, Mr Speight could then instruct the forever increasing Methodist population of the prisons to rise up and protest. And guess what, the army would then have some nasty suppression work to do, while the Indo-Fijians, who will be now Indo-Aussies and Indo-Kiwis will celebrate their Diwali in peace. There is a loophole in our laws through which treasonous acts can be carried out with impunity. This loophole was discovered by the father of coups in Fiji, Mr Sitiveni Rabuka, who got himself immunity from prosecution for the 1987 coups. Till today, Rabuka can't stop gloating about his cleverness in getting immunity, which is glorified through the weekly opinion columns in the daily media. George Speight also got himself immunity from prosecution in 2000 - but his immunity came with conditions. Imagine if George Speight had not violated the conditions, he would have been like Sitiveni Rabuka - gloating about his unprosecuted crime every week. 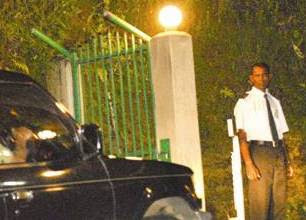 It was no surprise when Commodore Voreqe Bainimarama [pictured] and his comrades secured immunity as a first step, even before they created an interim regime. They remembered the lesson from Rabuka. What do we do about this loophole in our laws? It is essential that we have an Executive Head of State with reserve powers that can be utilised in times of emergency. But surely, granting of immunity for treason and takeovers of government should not be a permissible activity for any President. Rabuka's legacy lives on through the taint on the office of the Fiji President. 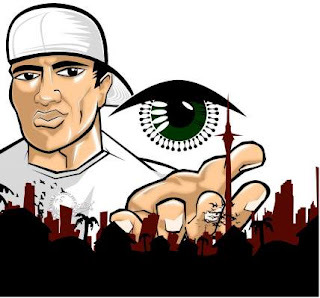 Pasifika TV - David pulling a fast one on Goliath? SO Will 'Ilolahia stole a march on the big boys at Television NZ and TV3 during the Pasifika media fono today. During a panel devoted to the future of a Pasifika TV channel when TVNZ and TV3's own ideas were floated - interesting but not very convincing - maverick broadcaster Will 'Ilolahia rose and spoke from the floor about a Pacific TV channel which he says will be streaming on the internet by November 1. His announcement came like a bombshell at the fono, leaving Tagata Pasifika's Taualeo'o Stephen Stehlin and TV3 Pasifika consortium's Innes Logan (Spasifik publisher) almost speechless. "We know there are a lot of PIs around the world who are dying to watch Kiwi films and that kind of stuff," Will explained. 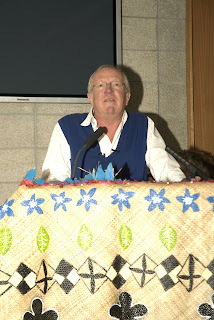 When asked why he kept the establishment of the channel secret, 'Ilolahia told the Pacific Media Centre's Dominika White that he had wanted to wait until his organisation had something concrete. "To be honest, I came here to hear about the competitors. That's why I got up and said it," he said. Under the moniker of Kiwi Television, the new channel will be available at: http://kiwitv.streamstaging.co.nz/ (yet to go live). Check out Will's response. Full marks to Pacific Islands Media Association's Aaron Taouma and his PIMA team for a lively and stimulating conference at AUT University, the best in years. From the "mainstreaming" session in the morning - which included newcomers like the New Zealand Herald's South Auckland reporter Vaimoana Tapaleao to the doyen of television news producers Tati Urale - to the final "future directions" panel, including heavyweights like Taimi 'o Tonga publisher Kalafi Moala and the National Pacific Radio Trust's Fa'amatuainu Tino Pereira, the fono was a great success. Moala's challenge to PIMA was to step up its regional Pacific role. The "Pac2thefuture" theme was a real winner and so were the lower registration fees - especially for students. It was a buzz to see so many younger faces, and students came from Whitireia and the NZ Broadcasting School in Christchurch as well as the usual AUT crowd. A bonus was the announcement of AUT's new Graduate Diploma in Pacific Journalism, the first Pasifika media education initiative in almost two decades - since the early success of the old Manukau journalism course. In offices they listened and watched as Fiji TV carried the court findings live and radio boomed out around the nation. On the streets they listened. On the island of Laisenia Qarase, people were glued to the live radio broadcast. It was Judgment Day - and a big one too. Qarase lost his case. The Fijian Constitution still stands and that’s that. The President has direct powers to rule. He has used them and he has the right to use them until the next election is ready. He was given a long lead time – at least no date was hinted at for the election. When the time is ready for the elections, it’s ready. Bainimarama must be laughing all the way to his office today, dancing and firing guns in the air. The kava bowls will be filled over many times. So goes the judgment. And there was not implied - but direct criticism - voiced against both Australia and New Zealand for their travel bans against the interim government. As for the judge who read the judgment, it took him around two hours in all with a break for coffee and biscuits. And was it wordy? – Oh yes. the Philippines, Colonial India and World Two in Burma. I heard the name John Locke and 1688. I lost the plot now and again, and returned to it between my cups of coffee. But then the three judges needed breaks too. At the end of the judgment, the judge apologised to the various legal counsel for small typographical errors, and said he was would send electronic correct copies to them during the afternoon. He also gave a gentle barbed reply on trees, conservation and paper to a counsel who asked about getting a corrected printed copy of the judgment. The Fiji interim regime wasted no time in calling for cooperation and support for its election plans and constitutional legal specialist Professor Bill Hodge, of Auckland University, says many governments previously opposed to the regime can now be expected to recognise the government as legitimate. Meanwhile, University of the South Pacific political scientist Steve Ratuva has done a handy analysis on the real power plays at work in Fiji - something vastly better than has been seen from the local flacks for months. Multiple battle lines - who is winning? The fall of free-to-air ratings continues apace, and, with it, the vast resources needed to deploy large teams into the battlefield to mount comprehensive audience-gripping coverage. This relentless quest for real-time war drama has much to answer for, shifting increasingly precious resources away from more nuanced and informative reportage. 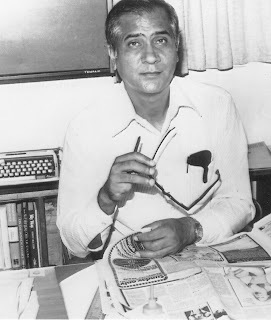 In Maniaty's view, "big" media is struggling to sustain "comprehensive coverage". He reckons the "smaller-scale, independent output of video journalists" is becoming the new trend-setter. 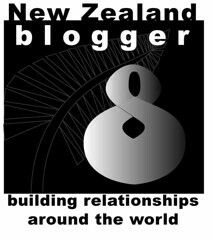 In other content in PJR, Robbie Robertson reviews two new challenging books on the Pacific (and Asia) media, which should have the flacks talking, while Sarah Baker and Jeanie Benson offer a refreshing take on NZ media reporting of Asian crime - "The suitcase, the samurai sword and the Pumpkin". 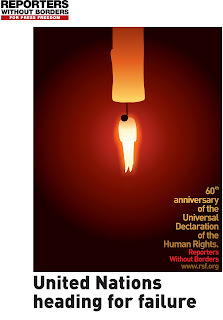 The edition is jointly published with the Australian Centre for Independent Journalism (ACIJ).